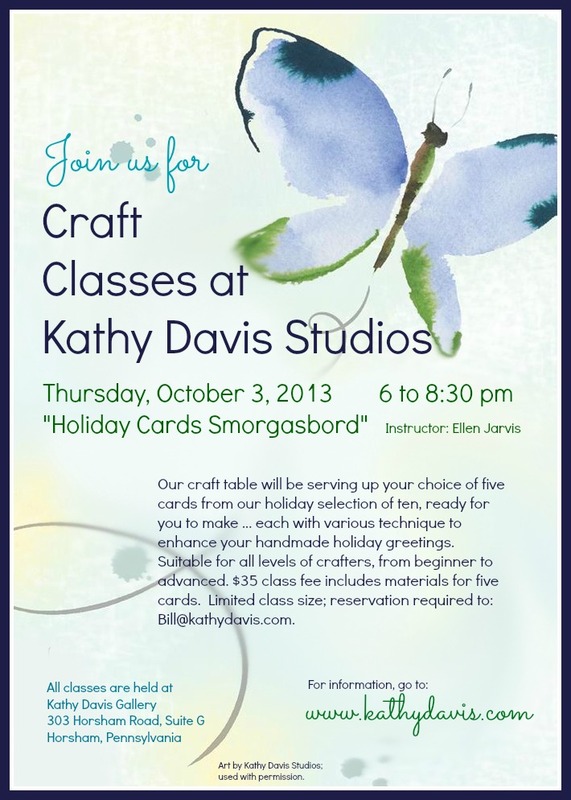 Have you thought about taking a cardmaking class at Kathy Davis Studio? Well, have *I* got a treat for you! The next class I am teaching there is on Thursday, September 19, UPDATE: Changed to OCTOBER 3 from 6 to 8:30 p.m. Initially billed as simply a "Holiday Cardmaking Class," I'm changing it up a bit to include more projects, more techniques, more designs ... and I hope, more fun! There will be at least ten cards in all on the table from which attendees can choose to make. The $10 class materials fee includes your choice of five of the cards to make. 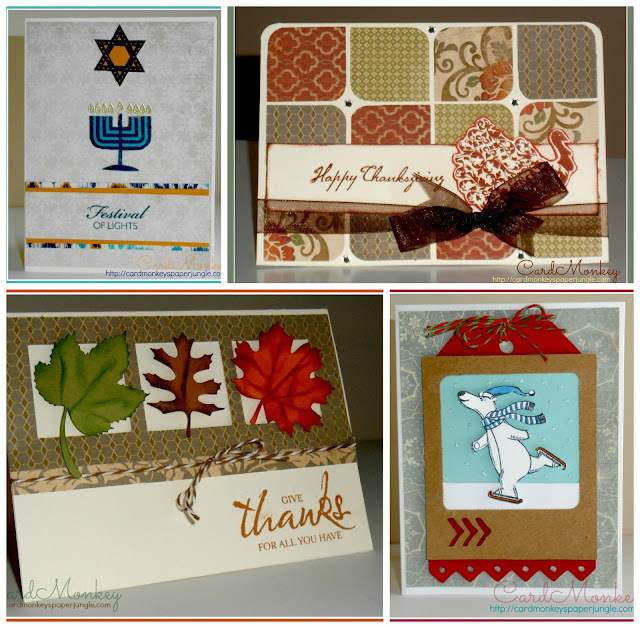 Class participants will pick from 5 Christmas/Winter Holidays cards, 2 Thanksgiving cards, 2 Halloween cards, and 1 Hanukkah card. 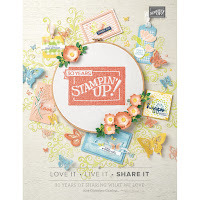 There will be all sorts of techniques to learn with each one, including simple stamping, fussy cutting, smudge edging, embossing, Copic coloring, paper piecing, and fancy folds. Some cards are easier for beginning cardmakers, and some are a little more challenging for the more advanced. In other words, this class has something for everyone! To reserve your spot in the class (limit: 8 enrollees), contact me at cardmonkey@comcast.net, or contact bill@kathydavis.com. I hope to see you there! P.S. The cards shown here were all made using cardstock and B&T Duos from Close To My Heart. 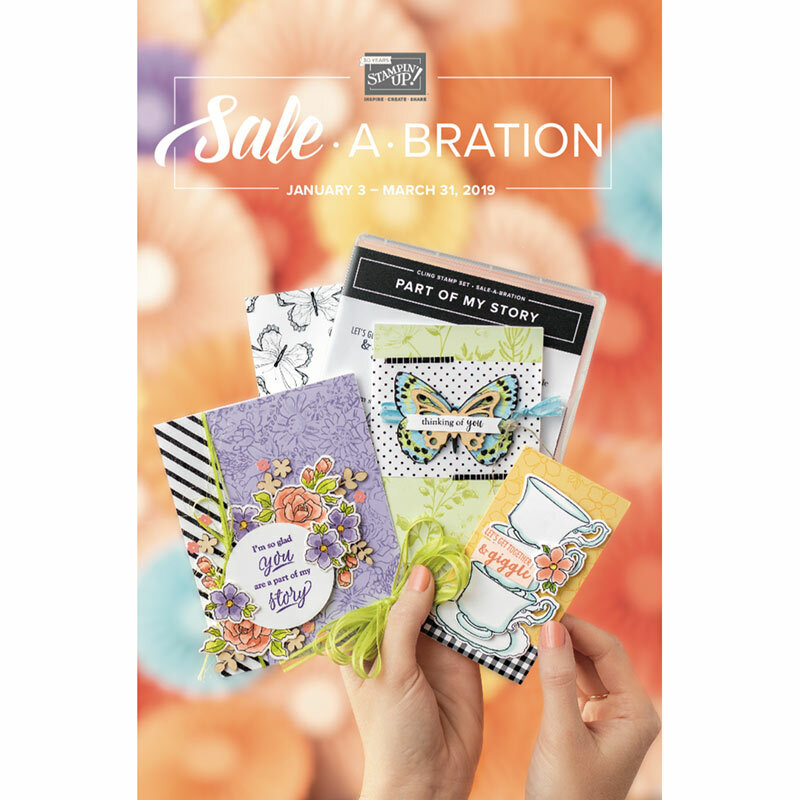 As a special offer, any one of my blog followers can join the "Kathy Davis Craft Classes" online party to order CTMH products for direct shipment to your home. Just go to my CTMH Online Business Address at http://cardmonkey.ctmh.com and look to the right for the button that says JOIN. (Bottom left): Huntington paper along with the Happy Autumn (D1550) stamp set.